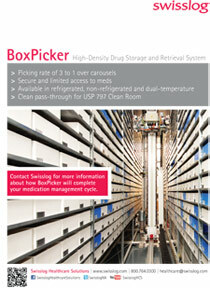 BoxPicker is the innovative medication storage and retrieval solution providing secure storage for bulk medications and supplies with the capability of completing up to 200 transactions per hour. 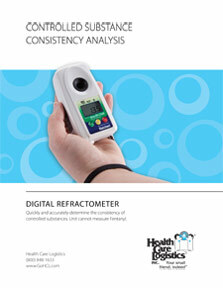 Quickly and accurately determine the consistency of controlled substances with confidence by using HCL's easy to operate palm-sized Digital Refractometer. 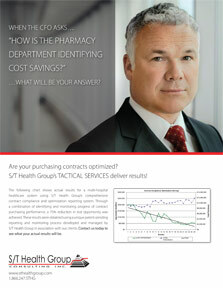 S/T Health Group Consulting, Inc. services have been proven in hospitals and healthcare systems across the U.S., with millions of dollars in cost savings captured. 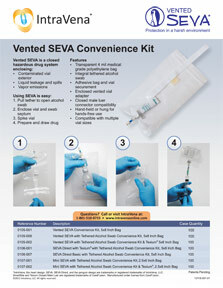 IntraVena's cost-effective products offer improved safety and convenience in facilities where hazardous drugs are prepared and administered. 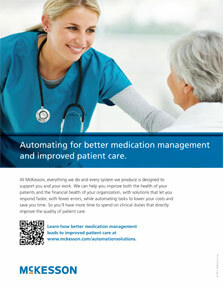 McKesson Automation, Inc. provides hospital automation solutions to support better medication management through reduced errors, improved efficiency, and enhanced patient safety. Helmer Refrigerators offer both a controlled temperature environment with superior temperature uniformity AND a dry storage environment excellent for storing boxes and other containers with our custom storage options. 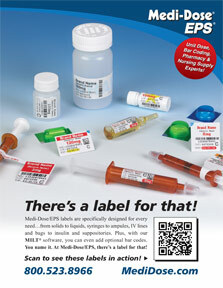 Labeling Solutions by Medi-Dose, Inc. / EPS, Inc. Improve patient safety and team communication with bar coding & labeling solutions designed by healthcare professionals for healthcare professionals. 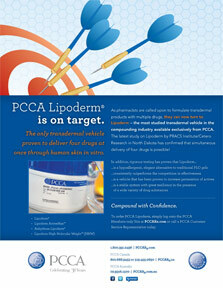 The industry's most studied transdermal bases now proven to deliver four drugs simultaneously. 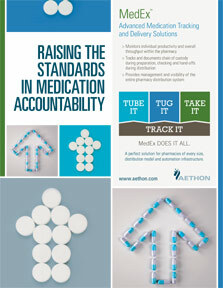 Applying best practice principles from industries specializing in the management of distribution systems, MedEx provides hospital pharmacies with systems that bring advanced tracking and delivery technology to the hospital. 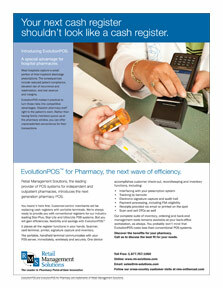 Capture more discharge patient prescriptions by delivering to the bedside, using the EvolutionPOS portable point-of-sale system. 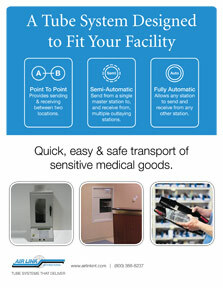 Air Link systems safely transport medications and medical goods that are vital for quality patient care. 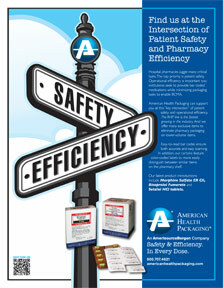 AHP provides a full line of pre-packaged unit dose products to health systems nationwide to support BCMA and promote efficiency in hospital pharmacy operations. 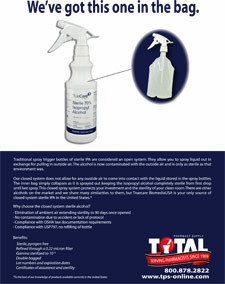 TrueCare® Sterile Isopropyl Alcohol 70% USP by Total Pharmacy Supply, Inc.
TrueCare® Sterile Isopropyl Alcohol, available from Total Pharmacy Supply, is the only source of closed system sterile IPA in the United States. 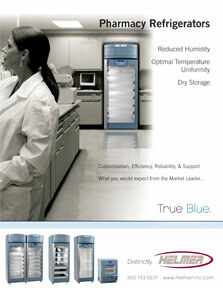 This closed system protects your investment and the sterility of your clean room. Autoclavable AlphaMop™ provides the ideal flat surface mop for cleaning and disinfecting aseptic areas. 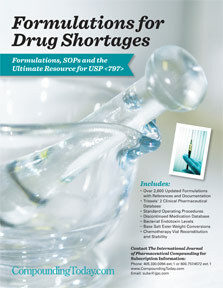 Improve patient care with access to more than 2,600 referenced and documented formulas available for immediate download. 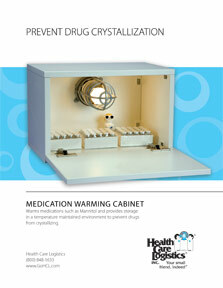 Specifically designed to warm and store medications in a temperature maintained environment to help prevent drugs from crystallizing. OTIS counselors offer pharmacists, health care providers and educators another source of support for their patients dealing with questions and anxiety about medications and other exposures during pregnancy or breastfeeding. 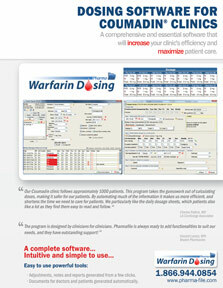 Coumadin® Management Software by Pharmafile Solutions Inc.
Pharmafile's Coumadin® Management Software saves time and improves patient safety by employing priority patient settings and electronic communications with patients and their healthcare providers. 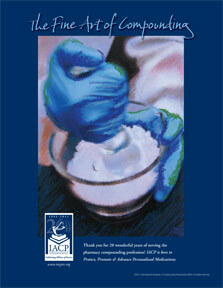 CPAQ™ helps hospital pharmacy directors evaluate compounding pharmacies for needed compounded medication services. 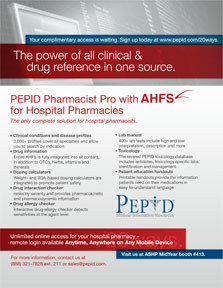 All the clinical information hospital pharmacists need, integrated with all the AHFS drug information you need and trust. All in one source.